MANILA • For Mr Ruben Perez, the only Filipino politician who really mattered was Ferdinand Marcos. The 50-year-old farmer and village chief has never lived outside his tiny hamlet in the vast region of Ilocos, birthplace of Marcos and a solid voting bloc of three million in four provinces that straddles the long western coast of the main island Luzon. "(Marcos) made us proud to be Ilocanos… For that, we owe him our loyalty," said Mr Perez, of Sinait town, Ilocos Sur. Marcos ruled the country as dictator for three decades, before he was ousted by a popular revolt in 1986. That is the thing with Philippine politics. Voters remember the names and faces, the handshakes, and the irrigation canals and gymnasiums built, but nothing loftier. Not many can say what their politicians' views are about China, rapid urban growth, tax reform, or Asean integration, but all remember when a governor skips a ribbon-cutting ceremony for a new basketball court. Even younger Ilocanos, too young to have known Marcos intimately, share Mr Perez's sense of fealty. "Marcos has a legacy. He helped a lot of people. He built roads, irrigation systems. He created jobs. Ask any Ilocano, and he'll tell you Marcos is Apo Lakay (The Grand Old Man)," said Ms Wilma Menor, 32, of Santa Lucia town, Ilocos Sur, a housewife whose husband works in the United Arab Emirates. "Ilocanos will vote even for Marcoses who have yet to be born," she said. For Ms Menor, as with most Ilocanos, history is how one reads it. They refuse to believe, for instance, that Marcos oversaw, during the martial law years of 1972 to 1981, a systematic campaign of extrajudicial killings, forced disappearances, torture and illegal detentions to decimate opposition to his rule. Instead, they believe Marcos saved the Philippines from falling into the hands of communists. As for accusations that he plundered the state's coffers, Ms Menor said Marcos was no more a crook than any other politician. That almost-blind devotion to Marcos is symptomatic of Philippine politics, where personalities matter more than political platforms. That is the reason why, in the Philippines, political dynasties endure, and matinee idols, comedians, TV stars and boxing champions are elected into office, even when they have scant political experience. Mr Herbert Bautista is the quintessential Filipino politician. The 47-year-old is mayor of Quezon City, metropolitan Manila's biggest district. Before he became a politician, he was an actor. But short in stature at just 1.6m and lacking the chiselled features of a leading man, he mostly played the comedic sidekick. He was the best friend, who was always quick to make light of a depressing moment with a joke. He was known as "Bistek", a play on the term "beef steak", which is less grand than it sounds, being thin slices of beef cooked in soya sauce, and known as the poor man's steak in the Philippines. Mr Bautista has parlayed his on-screen reputation as everyone's best friend and his catchy moniker into a long political career. "When we were campaigning, people called him by his names in the movies: Bistek, Captain Barbell, Super Islaw. They saw him as an elder brother or the boy next door," said Mr Ares Gutierrez, one of Mr Bautista's key campaign planners who is now managing editor of The Manila Times newspaper. 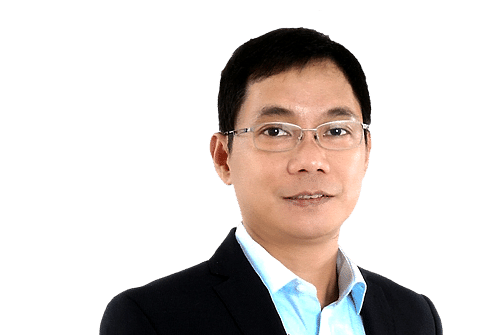 At 27, Mr Bautista became Quezon City's youngest vice-mayor in 1995. In 2010, he became mayor, was re-elected in 2013, and is now running for a third and final term, as local elected officials are allowed at most three three-year terms. Mr Bautista took me recently on one of his campaign rounds for some face-to-face and skin-pressing with his constituents in Culiat, one of Quezon City's poorer, but vote-rich, districts. Seen from a distance, these walkabouts smack of baby-kissing cliches and superficiality. But up close and personal, there is some magic to it. There is an element of showmanship, something Mr Bautista has mastered from his acting years. There is careful consideration of what to wear. He changes from the formal barong that he favours when holding court at city hall to a more down-to-earth short-sleeved polo shirt, and he dons shoes that add a few inches to his height. There is also some choreography involved. He walks briskly to cover as much ground as he can. Everywhere, there are handshakes, eye contact and selfies. People try to air complaints in as many words as they can in a minute, and Mr Bautista throws back a look of concern. After 15 minutes, Mr Bautista is already heading back to his SUV. Impressions have been reinforced. I overheard comments like "handsome", "nice", "easy to talk to". But asked what they liked about their mayor, most could only mutter generic things like: He built houses and roads, kept the streets clean, went after criminals. Few knew the mayor's political party, apart from the fact that he had been with Marcos before and that now he's with President Benigno Aquino's Liberal Party. That is the thing with Philippine politics. Voters remember the names and faces, the handshakes, and the irrigation canals and gymnasiums built, but nothing loftier. Not many can say what their politicians' views are about China, rapid urban growth, tax reform, or Asean integration, but all remember when a governor skips a ribbon-cutting ceremony for a new basketball court. It is a throwback to the Philippines' past as a feudal state, where political barons were regarded as father figures who dispensed favours to the people who lived and worked on their lands in exchange for their loyalty. "In our political culture, politicians are seen as 'approachable and compassionate', and must show sympathy or goodwill via monetary contributions or donations. These, in turn, are translated by the beneficiaries as manifestations of 'good governance and good political leadership'. This is, of course, a totally erroneous concept of governance," said citizen rights advocate Lito Lorenzana. Political analyst Earl Parreno of the Institute for Political and Electoral Reform told the online news site Rappler that political parties "are merely coalitions of dynastic families with command votes in their localities". There used to be only two political parties in the Philippines: the Liberals and Nationalists, or the progressives and conservatives. When martial law was declared in 1972, these parties were banned and, for a time, the Philippines had only one: Marcos' New Society Movement. When the Marcos regime collapsed, there was an explosion of political parties. Over 100 were registered with the election commission in 1988, yet the lines that should have separated the conservatives from the liberals, and the agenda that went with these political streams, were never clear. That set the trend that is the hallmark of Philippine politics: coalitions of convenience. During election season, politicians gravitate not towards an idea or a trailblazing reformer, but to candidates who are certain to win because they have both charisma and machinery. These are candidates who have impeccable name recall, and are backed by kingmakers who have the resources to make sure everyone toes the line and will not abandon ship come election day. Next year's elections promise to be no different from previous ones. Cults of personality are still driving the narrative, with many of the leading candidates - Senator Grace Poe and former interior minister Mar Roxas, who are running for president, and Senator Ferdinand Marcos Jr and Representative Leni Robredo, both seeking the vice-presidency - invoking memories of dead but still popular relations to buttress their credentials. At many political rallies, candidates will spice up their speeches with goofy numbers, not just to hold their audience's attention, but also to subtly convey the message: I am one of you. You can trust me. Vote for me. "It's all branding and hype," said Mr Parreno. He said that, placed side by side, the agenda of these candidates are basically the same. "All motherhood statements." Issues are even more obfuscated now, unlike in the 2004 elections, when Mr Aquino was at least able to frame his campaign as a crusade against corruption. Instead, most candidates spend their time attacking their opponents personally or fending off such attacks. Ms Poe has been hounded by questions over the length of her citizenship, Mr Roxas his mishandling of relief efforts in the aftermath of Typhoon Haiyan, Mr Marcos his family name, and Ms Robredo her lack of experience. "There really hasn't been much change when it comes to the maturity of Filipinos as voters. Elections are still a circus for them," said Mr Gutierrez.